This photo is too cute to bear, we’ve got to share it. Menno, Mr. Chief Inspirational Officer, product tester and model, joined me for lunch out on the sunshine earlier this week. 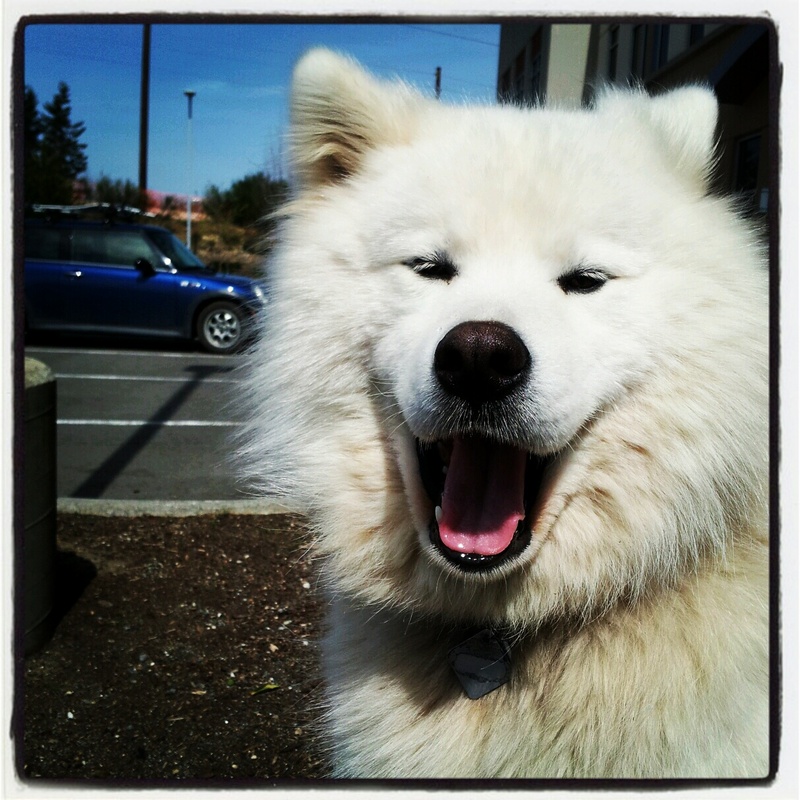 All smiles from this sweet Samoyed!